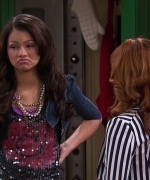 Home > Television Shows > [2010-2013] Shake it Up > Season 2 > Season 2 Screencaps > 026. "SURPRISE IT UP!" Album name: admin / 026. "SURPRISE IT UP!"